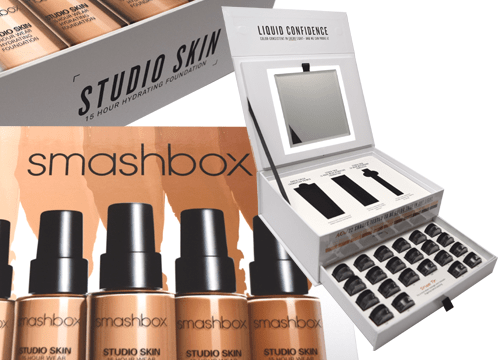 smashbox cosmetics has collaborated with Americhip on several campaigns, from picture-changing direct mailers to product training kits with Video in Print technology. This time around, the smashbox team wanted to deliver something new and different to launch their new product line, Studio Skin. As with previous product launches, a key objective was to educate store associates at smashbox retailers and to engage them enough to not only learn about the new product, but to create excitement. Americhip’s paper engineers and production team delivered a new and different design for the new Studio Skin line from smashbox. 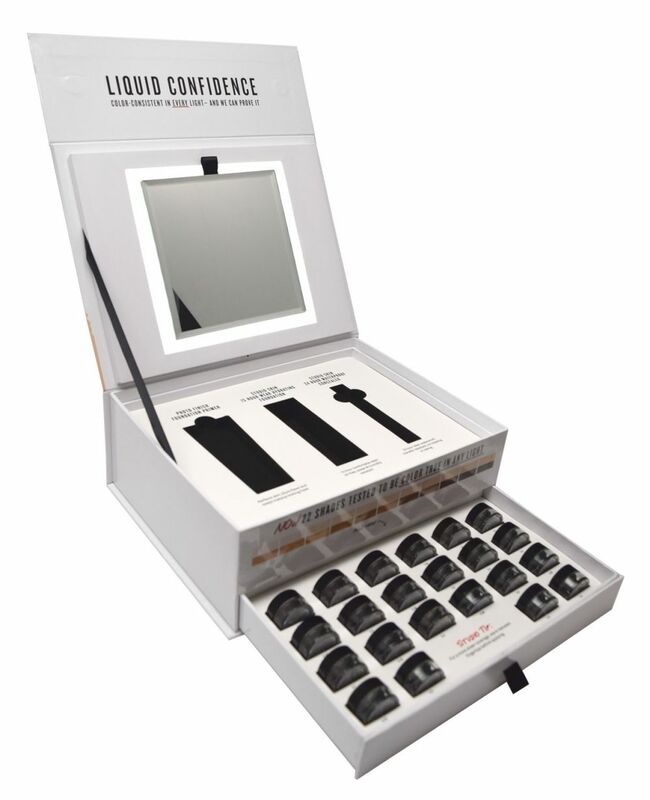 The Studio Skin product launch kit was a custom-made box built with premium materials and a beveled cosmetics mirror built directly into the box cover. The mirror is of course a perfect complement to the kit providing a functional aspect while also driving the associates to engage directly with the product. The mirror was also detachable through hidden magnets in the box cover allowing it to easily be used as a personal cosmetics mirror. The premier high”light” to the smashbox kit was an LED light that automatically turned on when the kit was opened. 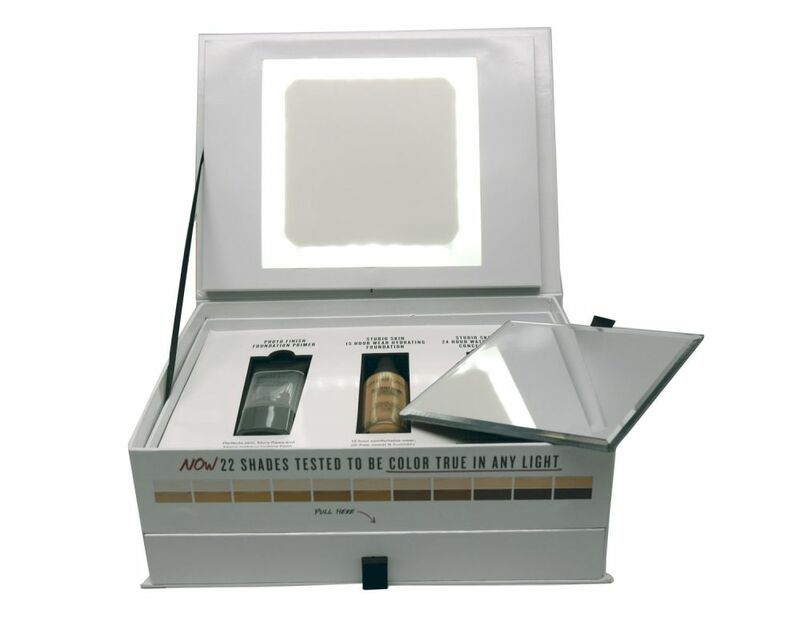 The LEDs were also integrated into the box cover just beneath the beveled mirror offering a true “Studio” experience.The kit also included pull-out drawers for product placement as well as a magnetic closure to keep the kit and products secure. The smashbox team was again excited about their new launch kit and, as previous campaigns have proven, the new Studio Skin launch kit was sure to be a “smash” at their retailers.